Over the last 30 years, the Florida Legislature has reduced benefits payable to an injured worker. Rising costs of medical care result in higher costs for workers’ compensation insurers and higher premiums for employers. Workers’ compensation “reform” usually results in cutting benefits to injured workers while keeping insurers profitable. In a recent Boston conference, the Workers’ Compensation Research Institute (WCRI) called for a more credible workers’ compensation system in light of other declining social safety nets, such as pension plans, employer-funded health insurance, and overall job security, as reported by the Insurance Journal. 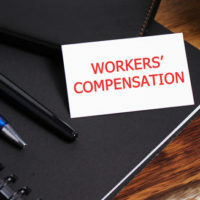 The panel called on workers’ compensation professionals and policymakers to focus on injured workers for once, as opposed to creating loopholes and regulations that benefit employers and workers’ compensation insurance companies. During the conference, speakers brought up the fact that investigations from the Occupational Safety and Health Administration (OSHA) and ProPublica have shown that the costs of workplace injuries are predominantly put on the shoulders of injured employees, their families, and taxpayers, not employers or insurance providers. Dr. David Michaels, professor of occupational health at George Washington University and former assistant secretary for labor with OSHA, said that, “Many workers who are either in the system or should be in the system are not doing well at all.” Aging people, people with disabilities, those who have suffered chronic injuries from workplace injuries, and those who were injured that were misclassified by their employer (in order to save on insurance costs) and others who simply do not realize that they have the right to workers’ compensation, do not receive benefits. The costs of these injuries, when not paid by the workers’ compensation carrier, are, instead, passed on to the Social Security Disability Insurance (SSDI) program or unemployment compensation and the families themselves. Senate Bill 1582, filed by Senator Rob Bradley, R-Fleming Island, seeks to limit attorney fees and rate filings for the Florida workers’ compensation system, according to WGCU News. The bill is being proposed due to the 14.5 percent increase in employer insurance premiums, which commenced December 2016. Reducing the amount that attorneys can bill further punishes injured workers by limiting the time and quality of legal counsel they have at their disposal to seek the benefits that they are owed. This bill is a money grab for the workers’ compensation insurance companies, who claim a workers’ compensation crisis based on unsubstantiated data from NCCI, the private rate-making company, whose board of directors are comprised of the CEO’s of workers’ compensation insurance companies. NCCI is the proverbial fox guarding the hen house. If you have suffered a workplace injury of any kind, we strongly urge you to call the workers’ compensation attorneys of the Celeste Law Firm today at 561-478-2447. We are prepared to help you immediately.